Home » Health » What Is Epilepsy? Epilepsy is a disorder of the central nervous system due to a pattern of abnormal brain electrical activity. This results in complaints of seizures, sensations and unusual behavior, and loss of consciousness. Disorders of the pattern of neural brain electrical activity can occur due to several reasons. Either because of abnormalities in brain tissue, imbalance of chemicals in the brain, or a combination of several of these factors. Seizures are the main symptom of epilepsy that occurs when electrical impulses arise in the brain beyond normal limits. This condition spreads to the surrounding area, and creates an uncontrolled electrical signal. The signal is also sent to the muscles, causing a twitch to convulsions. The severity of seizures in each person with epilepsy varies. Some only last for a few seconds and only look like a blank stare, or repeated arm and leg movements occur. Idiopathic epilepsy, which is epilepsy whose cause is unknown. 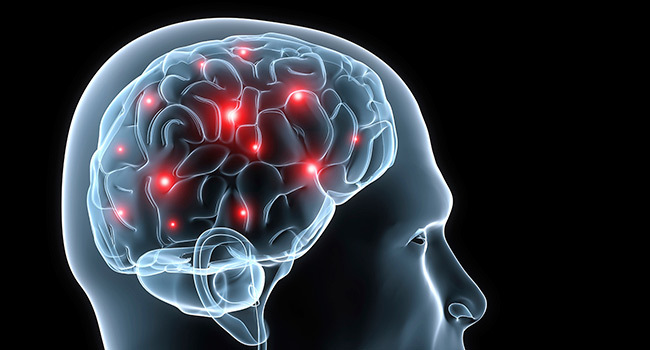 Symptomatic epilepsy, which is epilepsy that occurs due to a disease that causes damage to the brain. Epilepsy can occur at any age, both women and men. However, epilepsy generally starts at the age of children, or even begins at the age of more than 60 years. Epilepsy is the most common neurological disease. Based on WHO data in 2018, around 50 million people in the world experience this disorder. The diagnosis of epilepsy can be determined after the doctor has done a physical examination, especially the nerve condition of the patient, as well as a series of tests to ascertain abnormal conditions in the brain. After epilepsy is diagnosed, it is important to start treatment as soon as possible, by regulating diet and administration. Proper administration of the drug can stabilize electrical activity in the brain, and can control seizures in people with epilepsy. Medicines to treat epilepsy are antiepileptic drugs. Epilepsy that occurs in patients in unexpected places, can make the patient at risk of suffering an injury or fracture due to a fall during a seizure. Apart from the danger of injury, epilepsy sufferers can experience complications such as epilepticus and sudden death. Tonic-clonic seizures. This type is most common in general seizures. The symptoms can be divided into two stages, namely the tonic stage which is characterized by loss of consciousness, the body becomes stiff, and the body can fall to the floor. The next stage is the clonic stage which is characterized by limb movements (kelojotan), loss of control of bowel movements and urination, tongue biting, and difficulty breathing. These seizures usually stop after a few minutes. After that, patients can feel dizzy, confused, tired, or difficult to remember what has happened. Petit-mal seizure. Such seizures often occur in children which are characterized by looking blankly or doing subtle body movements, such as blinking or tasting lips. These seizures cause a short loss of consciousness. Tonic seizures. These seizures make all the muscles stiff like the first stage of tonic-clonic seizures, so that the body's balance can be lost and the body can fall. This type of seizure will affect the muscles of your back, arms, and legs. Atonic seizures. These spasms make the whole body muscles relax or lose control, so the body can fall. This seizure accompanied by loss of consciousness lasts very short and the patient can get up again soon. Myoclonic seizures, namely sudden contractions of the muscles of the arms, legs or the whole body. This seizure usually occurs after waking up and lasts for less than one second, although some sufferers can feel it for a while. Clonic seizures. Such seizures appear as repeated or rhythmic twitching of the muscles like the second phase of tonic-clonic seizures. However, the muscles do not become stiff at first. This type of seizure occurs in the muscles of the neck, face, and arms. Eyes like seeing glints of light. Simple partial seizures or auras are sometimes just a sign that another type of seizure will appear. Whereas complex partial seizures are seizures that involve decreased consciousness. These seizures usually arise from parts of the brain called the temporal lobe. Symptoms that appear can be in the form of looking blankly, not responding to the surroundings, and repetitive movements, such as rubbing hands, swallowing, or circling. The most severe seizure condition of epilepsy is status epilepticus , where the seizures last long, or recurrent seizures and the awareness of the patient does not recover between seizures. This condition is an emergency condition and requires medical treatment as soon as possible. Have more than 5 minutes of seizures. Having a second seizure, shortly after the first seizure. Having injuries to the body during a seizure. Unconscious or not breathing after a seizure stops. Tired or lack of sleep. Do not take anticonvulsant or antiepileptic drugs regularly. The doctor can suspect a patient has epilepsy if he has experienced seizures more than once. In addition, doctors also need to know the symptoms and characteristics of seizures experienced. Tracking patient seizures can also be done by asking the person who witnessed the seizure. Brain scan with MRI or CT scan. This examination is done to see the picture of the brain so that it can detect abnormal conditions. Electroencephalogram or EEG. This check is done to determine if there is a disturbance in the impulse or electrical activity in the brain which can cause seizures. Blood test . This examination is to determine the genetic condition, infection, or other conditions associated with seizures. Accurate diagnosis needs to be done to determine effective treatment. Epilepsy cannot be cured. However, proper administration of drugs can stabilize electrical activity in the brain, and can control seizures in epilepsy sufferers. In prescribing medication, the doctor needs to consider the age, type of seizure, condition of the patient, and other medicines that the patient consumes. Drugs prescribed by doctors are anticonvulsants, also known as drugs. These drugs can change the way they work and send signals or messages from brain cells. Examples of antiepileptic drugs are valproic acid , carbamazepine , lamotrigine, levetiracetam, and topiramate. The administration of antiepileptic drugs begins with a low dose, then the dose will be increased slowly. To monitor the body's response to drug administration, patients need to have their blood checked before and during taking the drug. On the other hand, antiepileptic drugs can also interact with birth control pills . Therefore, doctors need to adjust the contraception needed. During treatment, patients are required to take antiepileptic drugs according to the rules set by the doctor, and do not stop taking the drug without the doctor's knowledge. If the administration of antiepileptic drugs has not been able to control seizures in people with epilepsy, then doctors can do epilepsy surgery to eliminate the part of the brain that causes seizures. Implementation of this operation can be carried out if the seizures are caused by problems in the part of the brain that can be removed without causing significant side effects, such as speech, language, motor function, hearing, or vision. In addition to drug administration and surgery, a number of therapies can also be applied to epilepsy sufferers who experience seizures. The therapy involves installing nerve stimulators under the skin of the collarbone region (vagus nerve), to reduce the frequency and intensity of the seizures. Another therapy is the installation of electrodes on the part of the brain called the thalamus, which is connected to a stimulator in the sternum or head bone, to send electrical signals to the brain and relieve spasms. This therapy is called deep brain stimulation. While the therapy that is quite effective in dealing with seizures in children with children is the ketogenic diet (diet with high fat content, low protein content, and carbohydrate free). Meanwhile, additional therapy to avoid the trigger of seizures can be done with aromatherapy, which makes patients feel relaxed and relieve stress. In cases of idiopathic epilepsy where the cause is unknown, the step that can be taken is to avoid triggers that cause seizures. Seizures in people with epilepsy can sometimes endanger the sufferer and others. The danger can be a fall during a seizure, until the risk of injury or fracture. Another danger is loss of consciousness when seizures, so the risk of drowning while swimming or having an accident while driving. In addition, mental health problems are also often faced by epilepsy sufferers due to medication side effects, or difficulties in dealing with their condition. Mental health complications that often arise include depression , anxiety, or suicidal ideation. Complications can also occur in epilepsy patients who are pregnant. Although most epilepsy sufferers can experience pregnancy and childbirth well, there is a possibility that the fetus will experience birth defects or development problems. In rare cases, epilepsy can cause life-threatening complications. These complications are status epilepticus, which is a seizure that lasts more than five minutes, or recurrent seizures without interspersed conscious conditions between seizures. Another complicating complication is sudden death with unknown causes. This condition can be experienced by patients with seizures that are not controlled by drugs. 0 Response to "What Is Epilepsy?"